Today my hubby had his follow up appointment, and, for now, everything is fine!!! I was so happy to hear that the biopsy came back benign! There is one spot that the doctor wants to watch, so he will need to go back, next year, for yet another colonoscopy. At least they will be keeping an eye on it to make sure it doesn't turn into anything serious. O Lord my Savior and my Master, I, Thine unprofitable servant, with fear and trembling give thanks unto Thy loving goodness for all Thy benefits which Thou hast poured so abundantly upon me, Thy servant. I fall down in adoration before Thee and offer Thee, O god, my praises; with fervor I cry to Thee: O God,deliver me henceforth from all adversities and mercifully fulfill in me such of my desires as may be expedient for me. 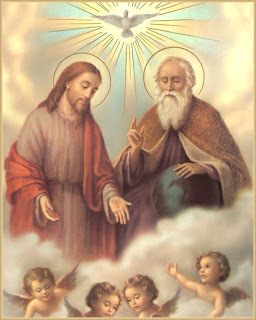 Hear me, I entreat Thee, and have mercy, for Thou art the Hope of all the ends of the earth, and unto Thee, with the Father, and the Holy Spirit, be ascribed glory, now and ever, and unto ages of ages. Amen. I know you can't see me, but I'm doing the happy dance!!! What wonderful news! I am sooo happy for you!My husband had a cancer scare a few years ago and I remember the RELIEF of our day we found out it was ok!!! We are rejoicing with you! !...and thank you so much for your blog. I love it and visit it nightly and your Catholic Cuisine one too. You are a gift to me!!!!! Thank God! All Glory and Honor to God!! What protection and mercy he has to offer all of us, what a gift. So happy Jessica, also so happy you found out before your trip, no worries!!! That is wonderful news Jessica! God has indeed heard our many prayers! Please give your husband a congratualory hug from us here in Fargo. God bless you, dearheart, and keep up the wonderful work you do everyday! Wonderful news Jessica!!! I am so glad!! God be praised!